Sister Margaret Jones Hair was called to her Heavenly Home on Thursday, July 19, 2018, at Southeast Medical Center in Dothan, Alabama. She has finished her course. GOD saw HIS loving angel was getting weary and tired. He whispered to her softly, and she said, "LORD, I’m ready to go". He said, "Come unto me, MY child, and I will give you Rest", so she laid her head upon HIS Breast and gently closed her eyes. She was born to Mr. Alfonda Jones Sr. and Mrs. Pearlie B. Jones on May 10, 1948, in Seminole County, Georgia. She joined Saint John African Methodist Episcopal Church at an early age. Margaret received her education in the Seminole County School System. She worked for many years at Anderson Health Care Center in Florida. She attended Apostolic Revival Church in Miami. 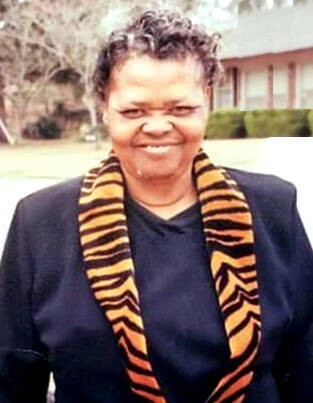 She was preceded in death by her parents, her two sisters Castoria "Cat" Jones and Mary Wynn, and her brother Fonda Jones Jr.
She leaves to cherish her loving memories two loving daughters, Gloria Jones of Donalsonville, GA and Lisa Hair of Dothan, AL; two sons, Sander Hair Jr. of Donalsonville and Randy Rickey Jones of Dothan; three beautiful grandchildren: Barrin Jones of Atlanta, GA, Tarrence Jones, and her "Little Princess" Whitley Smalls, both of Donalsonville; four loving sisters: Louise Bush, Annie Jones, both of Donalsonville, Beronice Lane of Miami, FL, and Gloria Williams of St. Petersburg, FL; two brothers, R. C. Jones of Gordon, AL and Joe Nathaniel Jones of Donalsonville; one aunt, Catherine Clyde of Hollywood, FL; special nieces and nephews who loved her dearly; a special great nephew, Jermaler Powell; cousins; other loving and sorrowing relatives; neighbors; and friends.